Ballet is a minefield of Elite Gender Inversion with traditions going back to the Italian renaissance* and later popularized in France by Catherine de Medici (1519-1589) . The dancers were the nobles themselves and Ballet served primarily to demonstrate national wealth and magnificence. Under Louis XIV (1638-1715) Ballet became increasingly popular which led to the foundation of the Royal Dance Academy in Paris 1661 and not much later – the first professional ballet dancing company (1669). Together with the national dance institutions, Ballet became a full time art-form and practiced by trained professional dancers, as today. Despite a decline of interest in the 1800s, the popularity of Ballet was revived through the various regional practices of Ballet in countries like Denmark, Italy, and Russia which led to a larger variety of dancing styles (especially Russia was influential through choreographer Michel Fokine). In the twentieth century* Ballet evolved further and combined with several other dance genres from modern dance, contemporary ballet, post-structural ballet and neoclassical ballet – popularized in the USA by Russian choreographer George Balanchine (1904-1983) – the father of American ballet. Wherever the Elite leads the charge, it would seem that EGI follows. When we think about Ballet we might even reconsider its origins and entertain the possibility that its foundation might in fact be the strict training regimen required for a man to impersonate a woman. The movements, flexibility and posture would need to be nurtured by inverted Elite individuals as the opposite genders physical appearance and gestures would not be natural for them. As Ballet is mandatory to practice from a tender age if proficiency is an ambition, it follows that the morphology and agility would indeed be subject of change through such strenuous practices as ballet – including the spinal flex which much like in modern gymnastics is subject to change when exercised and torsioned from childhood (spine hyperextension). In addition to physical exercises, also more mechanical means of intervention can be considered to have been elaborated for the purpose of inversion in a deceptively concocted arsenal of tools such as laced structured costumes, undersized shoes, osteopathic therapy and alterations. Altogether, the various practices Ballet historically entail would actually largely help to diminish gender typical differences between men and women to such a point where Ballerina trained men would appear as feminine in appearance and posture as any cis-gender woman when performing on stage. Showing off such successful and cunningly planned inversion would therefore be the natural culmination of the occult art of EGI and could therefore be the true origin and essence of the entire discipline of Ballet. The popularity of Ballet is more significant in the upper classes than in the general population as reservations must be made far in advance with prices often being significant for regular citizens. Some ballet stars nevertheless do become popular despite the discipline itself remains mostly discrete in the mainstream media. Wendy Whelan is an exception as she through long exposure at the helm of the New York Ballet became an icon of the discipline itself and thus well illustrate the suspected ties between ballet and EGI (article here : Ballet macabre). The lack of public interest in Ballet as entertainment does not diminish the positive opinion most have of the discipline itself which is probably due to the attraction fitness and princess clothing create when combined and presented to children and parents alike in various forms from films and cartoons to puppets and clothing. To take advantage of the strong marketing potential of ballet towards fresh parents and young children it therefore appears opportune to sell the ballerina figure to such a demographically important and purchase prone segment of the consumer market. Ballet Beautiful is a company that might just take advantage of this market segment with its ballet inspired fitness method and lifestyle products. Much like Wendy Whelan, Mary Helen Bowers made her ballet credentials at the New York City Ballet where she danced for 10 years (1995-2005). What is extraordinary with Bowers is that she herself is a living example of how you can dance ballet while pregnant as she herself is the mother of three happy children. During pregnancy, Mary Helen Bowers developed a revolutionary fitness program that allowed her to remain in shape and dance all the way to delivery without sacrificing any considerable weight gain nor sweat. 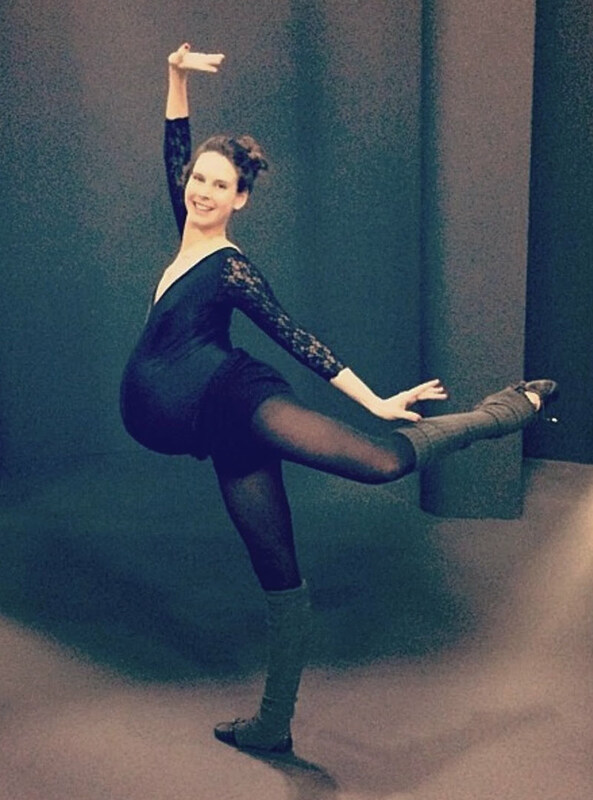 Similar to other celebrities who wear high heels while highly pregnant, dancing ballet with an 8½ month pregnant belly does look offensive to the eye and just as suspect in regards to how any parent would consciously risk their health at the ballet bar at such difficult stages of motherhood. Maybe the answer is glaringly obvious, but it is also very telling. As imagery suggest, Mary Helen Bowers does have actual children but her ballerina balloon belly is clearly staged. What this would suggest it very simple, all while she has children of her own lineage and heraldry – she never gave birth to her own offspring. 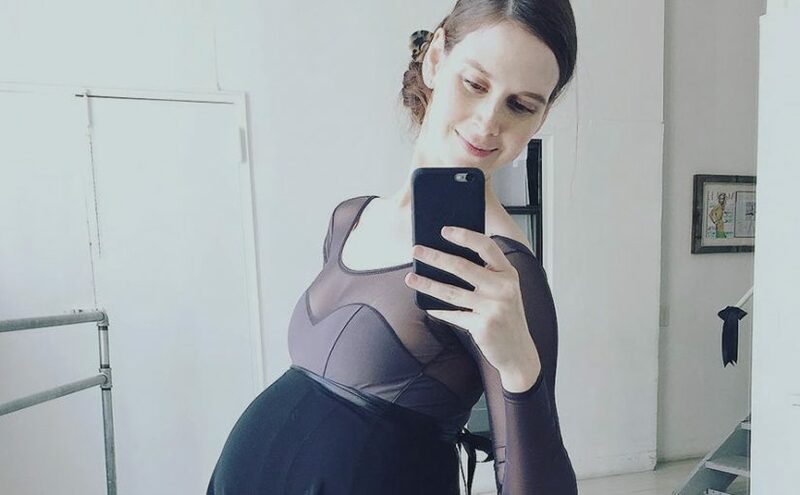 When analyzing the plentiful Ballet Beautiful programs with Ballet Prenatal exercises it is very clear that no physical change has taken place for Bowers even after having three children. The only change that occurred to the illustrious ballerina during all her pregnancies was an ever growing balloon belly that much like Alexandra ‘Skinny’ Bolotow just appear oversized and phony. Of course false baby bumps seems popular these days (article) and the recipe well explained by the companies that sell such wearable silicone replicas of pregnant wombs (ie Moonbump, Fake Pregnant Belly). The most intriguing question might however be how it has been possible to produce children that seem like natural offspring despite the fact Mary Helen Bowers clearly does not dispose of ovaries of her own. Applying logic here will not make the answers seem plausible, yet they remain the most probable from what we can deduct from the unlikely female anatomy and falsified pregnancy : if Mary Helen Bowers has direct lineage to her children, she must have produced sperm – not ovocytes. •as the ballerina belly grows, the image quality suffer. The morphology in this picture is all wrong and seriously should challenge the believability of anyone who has witnessed pregnancy or been pregnant themselves. In the photo it is clear that no breast tissue has evolved to match the oversized false silicone belly which seem as slippery as the shape of the belly itself. We do not know enough about the Elite occult practices to be certain of exactly how they consider lineage and secretly manage their families. Despite appearances there could be a hidden modus operando where the family unit is more complex and children produced outside of attention completely by either younger members of the family or by a spouse or partner unknown to the public. From what is apparent in most cases we do nevertheless see very distinct traits in children of known EGI individuals offspring that do suggest that EGI couples does manage to pass on their biological heritage (genes) to their children in unmistakable fashion as family traits are just as pronounced, if not more, in EGI families when compared to the more mundane cis-gender variant. *today six different ballet styles remain in practice : the French School, the Vaganova Method, the Cecchetti Method, the Bournonville method, the Royal Academy of Dance method (English style), and the Balanchine method (American style).